This is going on right now! 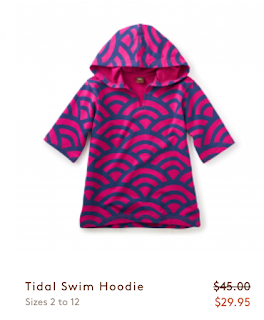 That means you can get this swim hoodie for $17.97! I got this earlier in the season for Grace and it is not only completely adorable, but so functional for throwing on after a day at the beach. I might even have to pick one up for Brooke in a larger size so she can have it for next summer as well. It's nearly the middle of August and I have to admit - I don't want summer to end. I want the warm summer nights, salty skin from a day of boating on the Bay, and sand all over my house. Call me crazy, but I do. 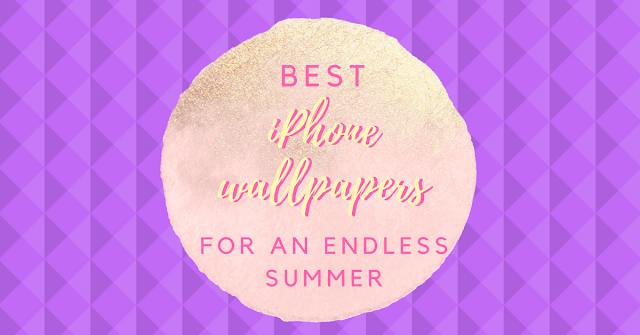 Here are 5 iPhone wallpapers to save for later. You know when we're knee deep in slushy snow on the way to the car. I'll still have an iced coffee in my hand though. Seasonal/schmeasonal.